Certainly you don't need to know world geography to read the country as well as the name in their passport. It's not the like alleged pointed to their home country on a globe. I heard she liked donuts. You think the BiB should stakeout Krispy Kreme? 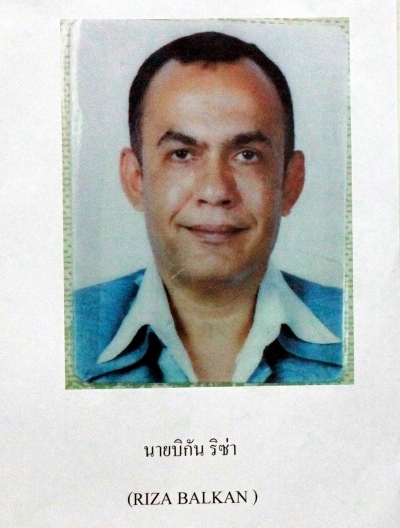 PHUKET: -- The Turkish national who was arrested in connection with the 30-million-baht gem and jewelry heist in Phuket on Monday will face drug possession charges before being handed over to the Phuket Police to face charges related to the gem heist. Phuket Provincial Police Commander Chonasit Wattanavrangkul told the Phuket Gazette that Riza Balkan, 49, was found in possession of ya ice (crystal methamphetamine) when searched by Trang Police on Monday. “Riza Balkan needs to be held in Trang for his drug case first before being transferred to Phuket to face charges related to the jewelry theft,” Maj Gen Chonasit said. “We’re not sure when Mr Balkan will be sent to Phuket. 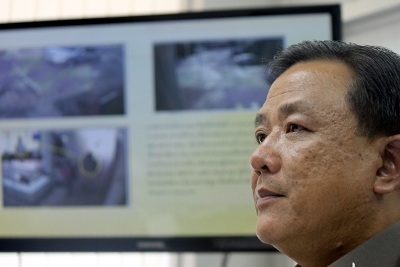 It depends on how long his case takes to process in Trang,” he added. Mr Balkan was arrested by Highway Police along with three other foreigners after the car they were travelling in failed to stop at a checkpoint. The four were allegedly en route to Sadao, Thailand’s major border crossing into Malaysian, after fleeing Phuket. Of the other three foreigners arrested in the gem heist case, Mexican national Ruben Gonzalez and Malaysian national Roslina Abu Bakar are being held by Phuket City Police. Mexican national Maria Asseneth, 57, remains at large. So the Thai man had nothing to do with the heist? Me Too--- I am totally confused with all the change in nationalities!!!!!!!! Thank you! Thank you! Thank you! Thank you! One of my greater pet peeves ever since working in personnel departments where forms for government statistics required race be recorded and the number of people who vehemently argued their national origin is somehow or other their race!!! 5. The American Anthropological Association recommends the elimination of the term "race" from OMB Directive 15 during the planning for the 2010 Census. During the past 50 years, "race" has been scientifically proven to not be a real, natural phenomenon. More specific, social categories such as "ethnicity" or "ethnic group" are more salient for scientific purposes and have fewer of the negative, racist connotations for which the concept of race was developed.